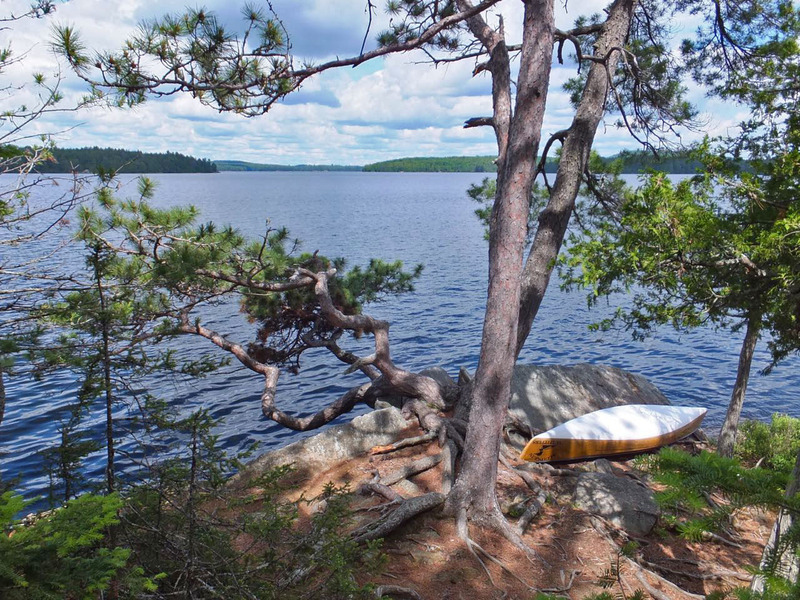 AlgonquinAventures.com is a public-service information-sharing resource for Algonquin Park do-it-yourself campers, canoeists, hikers and naturalists. Friday, April 20th, 2019 . . . . .
Don't forget to reference the AFA 2019-2020 Schedule of Operations Map before planning this year's canoe trips. Keeping a distance away from the logging noise of the AFA's cutting & hauling can vastly improve your tripping experience! 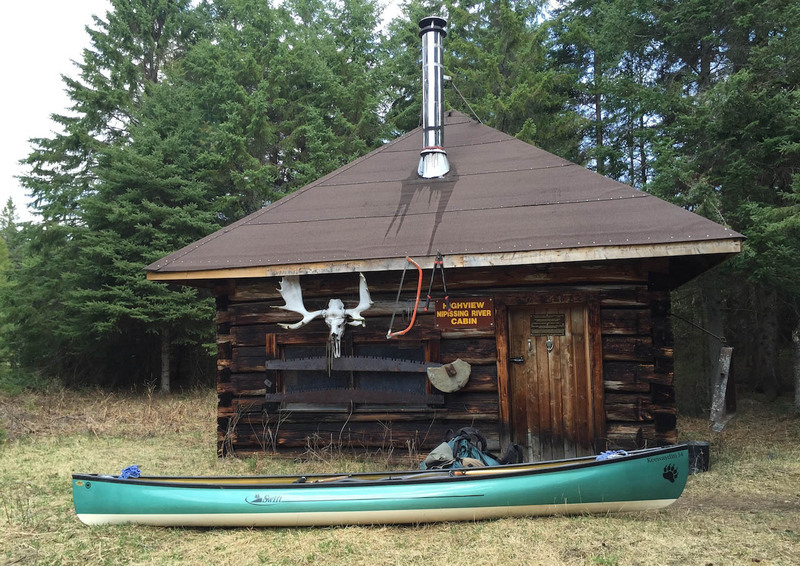 Sunday, April 14th, 2019 . . . . .
Cody Stein (AKA 'trippythings' over on the forum) has created a very well designed and photo-rich website .."Algonquin & Beyond" documenting his Algonquin Trip and Campsite Reports. Links to his Campsite Reports have been incorporated into this website's Portage Campsite Inventory project, adding substantially to its linked content. "In 2014, I decided to do something way out of my comfort zone and go on a trip by myself. My first solo canoe trip. .... with each passing year I try and spend more time in the backcountry, more time exploring Algonquin Park, and more time immersed in this beautiful park that we’re so privileged to have in Ontario’s backyard." Tuesday, March 19th, 2019 . . . . . This will wet the appetite of most paddlers out there, specially those who are considering making their own canoe! Mike Burns has posted a YouTube video "SoloWillow Canoe Making Finished" documenting the completion and test-launch of his new canoe. "My Skin on Frame canoe called SoloWillow was finished and a short test March 17th 2019. 16 feet long and 32" wide. The canoe weight is 40lbs without yoke and cedar floor boards, which adds 3 more pounds. The Douglas Fir was very dense/heavy I found that made the canoe weigh a bit more then I would have liked. Big first trip with new canoe will be in May." Monday, February 18th, 2019 . . . . .
Chris Taylor has submitted seven new campsite entries to the "Portage and Campsite Inventory". 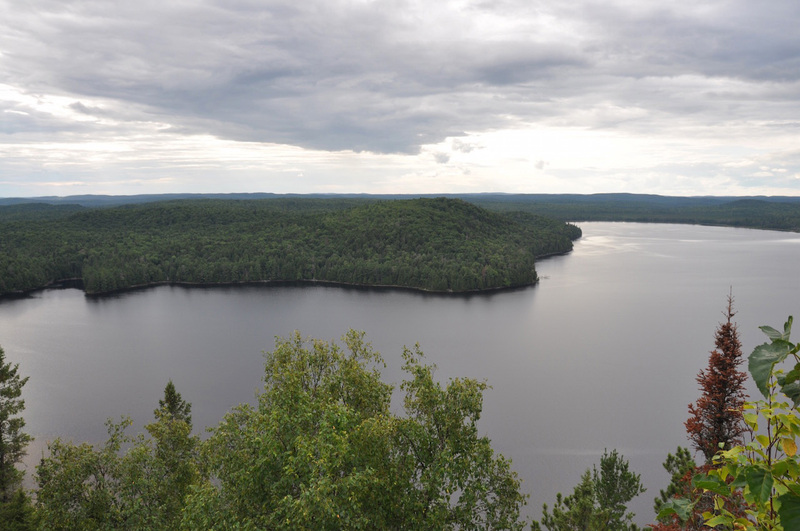 Thursday, January 30th, 2019 . . . . .
Ian Tendy has shared a trip-log on his website, of his 4-day Canada Day weekend loop-trip up Potter Creek to Brule Lake, which looped over through McIntosh and Tom Thomson Lakes "Canada Day 2018". 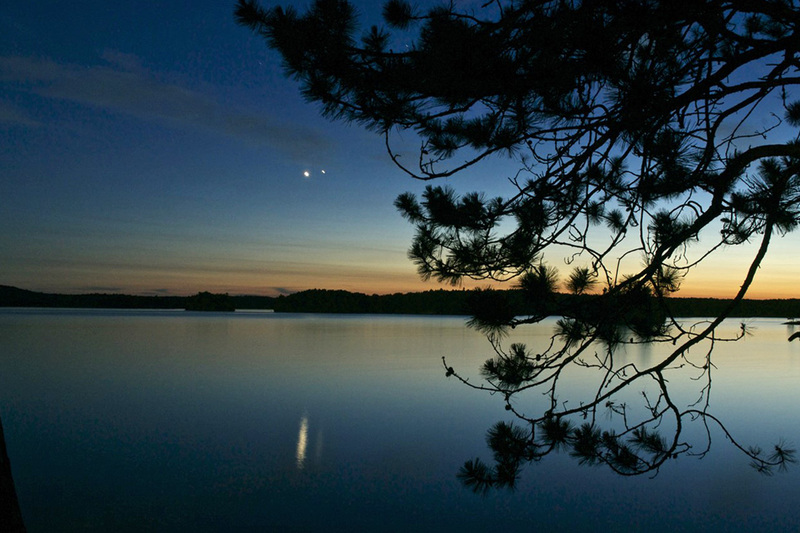 "We passed the night away by fishing around the lake and eating chicken wraps cooked over the campfire. The dusk was calm, and we settled into a warm summer night. At around 2am, we both woke from a content slumber to a sound neither of us wanted to hear. Rain, thunder, and lots of both. Before long I had to take a peek outside, and with the aid of near-constant lightning I could see the tarp was flapping hard but still there." Thursday, January 17th, 2018 . . . . .
Drew (forum handle: "AlgonquinLakes") has added six more campsite reports to his "All Of Algonquin" website. He has submitted the links to these new reports and they are now integrated into this website's Portage and Campsite Inventory Project. Sunday, January 13th, 2018 . . . . .
Chris Taylor has submitted five new campsite entries to the "Portage and Campsite Inventory". Campsite 1 on Nipissing R. - Plumb Creek Junc. Campsite 3 on Nipissing R. - Plumb Creek Junc. Campsite 4 on Nipissing R. - Plumb Creek Junc. Sunday, December 16th, 2018 . . . . .
Wanda Spruyt has submitted a couple of new campsite entries to the "Portage and Campsite Inventory". Tuesday, December 4th, 2018 . . . . .
Chris Taylor has submitted another six new campsite entries to the "Portage and Campsite Inventory". Sunday, November 25th, 2018 . . . . .
Chris Taylor has submitted five more new campsite entries to the "Portage and Campsite Inventory". 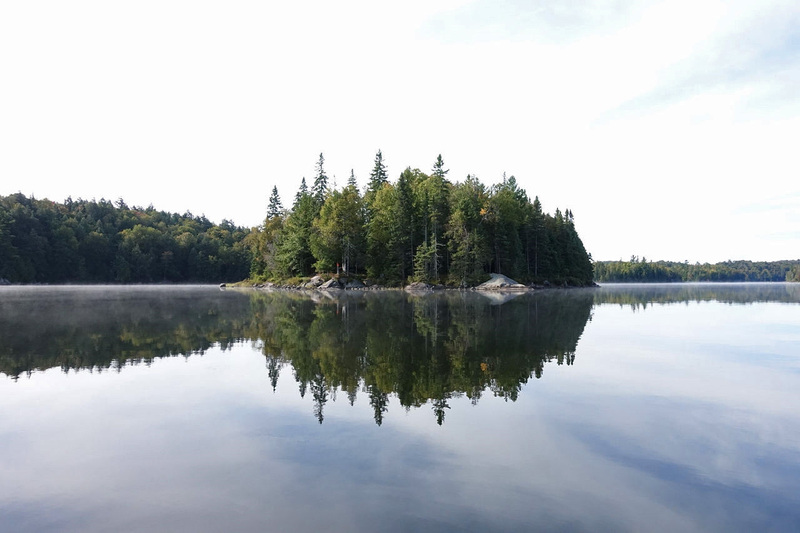 Saturday, November 10th, 2018 . . . . .
Drew (forum handle: "AlgonquinLakes") has added seven more campsite reports to his All Of Algonquin" website. Links to Drew's reports are also integrated into this website's Portage and Campsite Inventory Project. Rich (aka "Hiker72") has posted a trip-log of his late October 3-day hike "Western Uplands Northern Loop", with over-nights on Loft and North Pincher Lakes. "West Otterpaw creek proved to be a particular challenge due to the swelled streams. The options were crossing on top of a beaver dam or over some partially submerged rocks downstream. I thought the beaver dam would be the best option. I thought wrong. The volume of water cascading over the dam gave me a semi-soaker, and so precarious rock hopping proved to be less of a challenge after all. Nearing West Otterpaw Lake, the trail appeared to cross another small stream and continue straight on. Soon after I crossed however, the trail ended and I could not see any well travelled footpath."